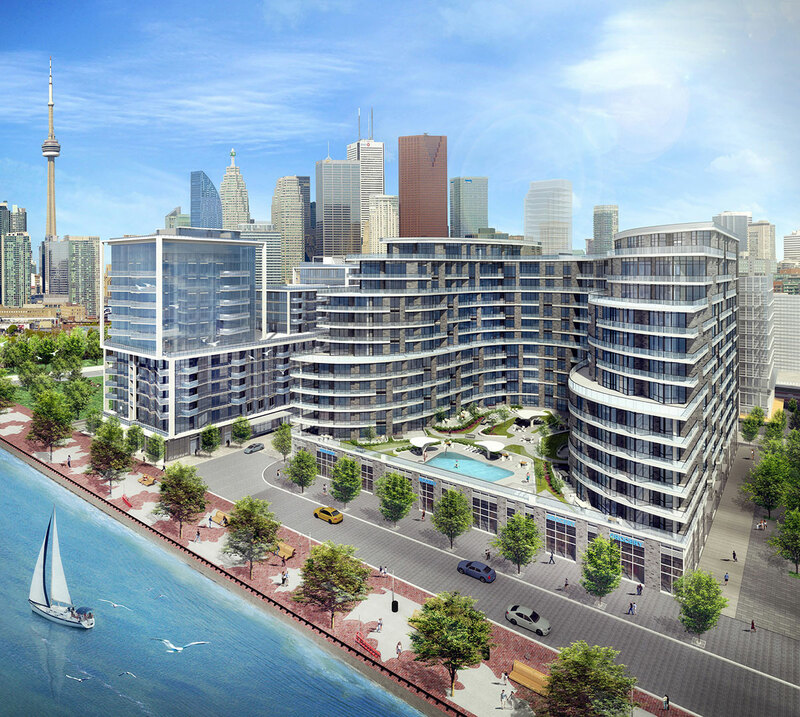 Aquavista at Bayside Toronto is the second residential phase of Bayside Toronto, a 13-acre mixed-use development on Toronto’s waterfront. Designed by world-renowned architects, Arquitectonica, the 12-story Aquavista at Bayside Toronto is currently under construction with completion scheduled for late 2018. 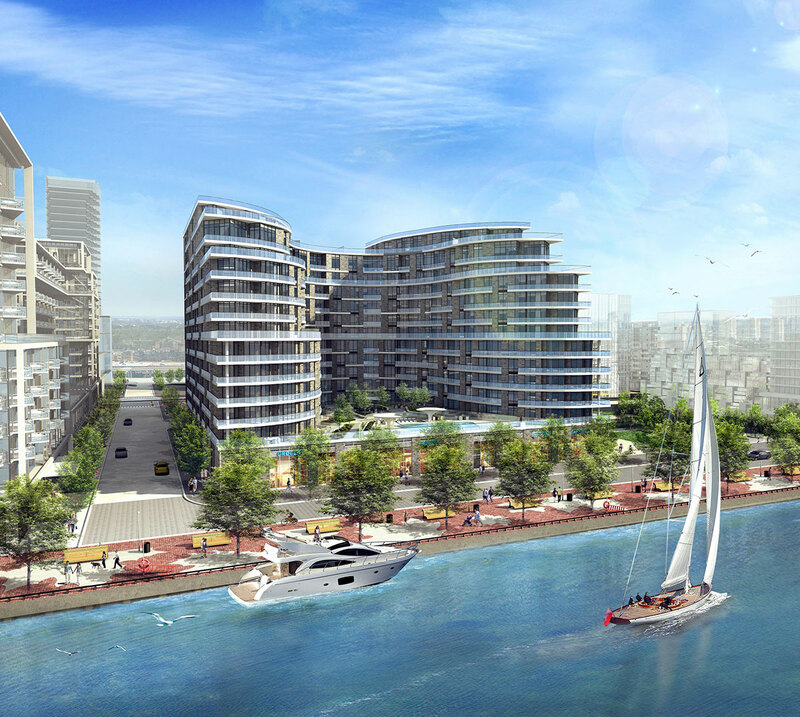 Aquavista at Bayside Toronto contains 227 condominium suites, ranging from one-bedroom to three-bedroom residences designed with families in mind. Suite sizes will range from 465 square feet to just over 3,700 square feet. The condominium’s interior public spaces and amenity areas have been designed by the award-winning Canadian firm of II BY IV Design Associates. Landscape design was led by Janet Rosenberg & Studio, an award-winning team that has designed many of Toronto’s most importance public spaces. 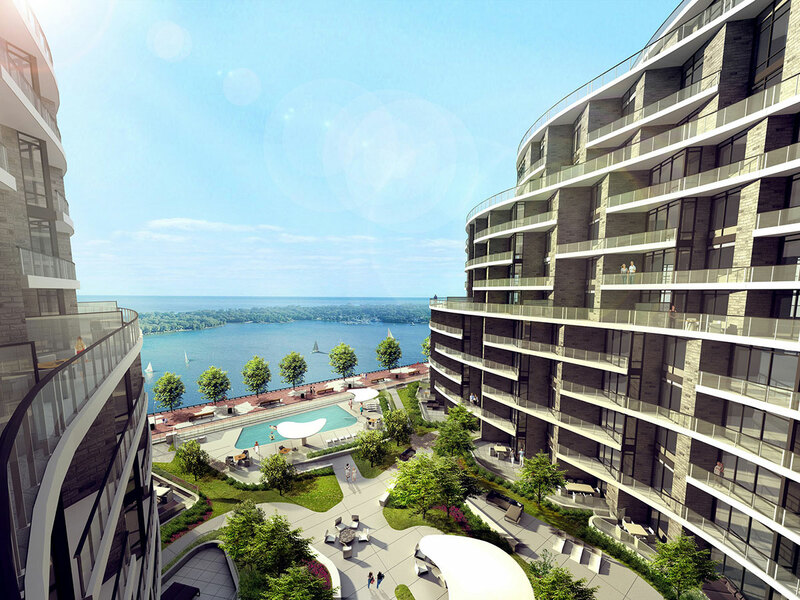 Aquavista at Bayside Toronto takes full advantage of its location by maximizing views of Lake Ontario with a series of curved and stepped terraces surrounding an outdoor amenity deck with a pool. Aquavista at Bayside Toronto will pursue a LEED® Platinum designation and will be part of Toronto’s first LEED-ND Gold neighborhood.